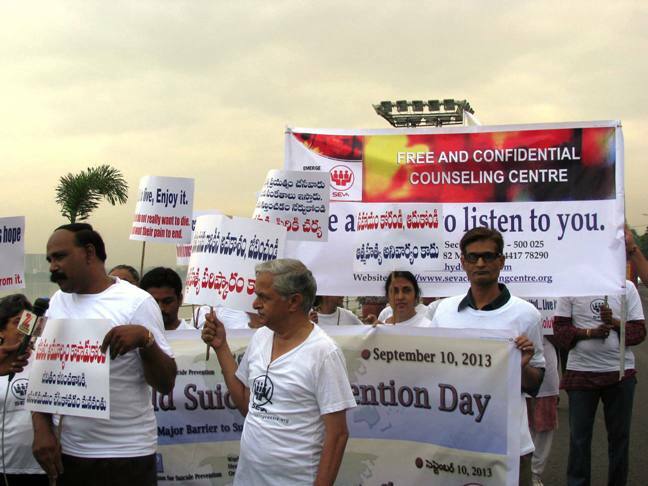 SEVA volunteers held an awareness walk this morning on the World Suicide Prevention Day (10th September, 2013). 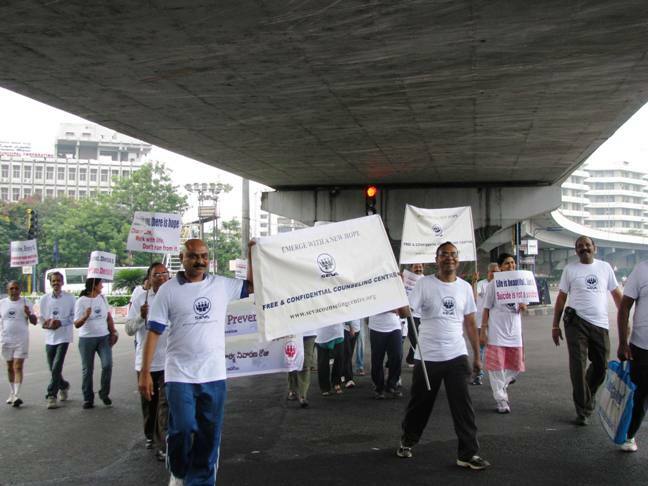 The walk was from Vivekananda Statue to Ambedkar Statue and back on Tank Bund. 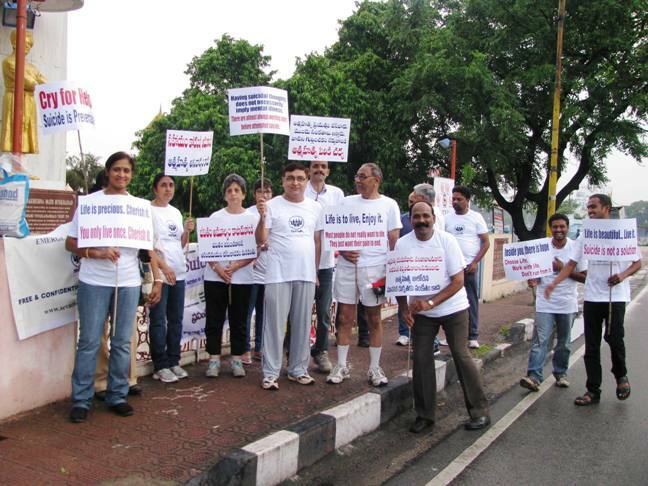 Volunteers and other participants were carrying banners with the messages like 'Life is Bueautiful ... Live it. 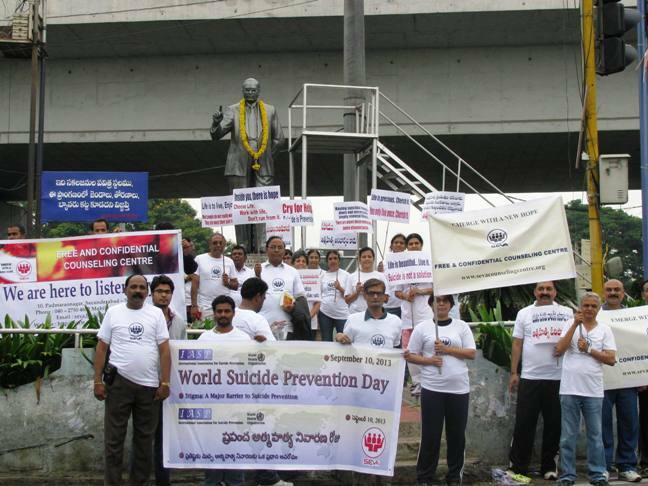 Suicide is not a solution', 'Sahaayam Korandi Andukondi, Aatmahatya Anivaaryam Kaadu'. Enthusiastic participation by volunteers from Seva and other NGOs and people from different walks of life was the highlight of this event. 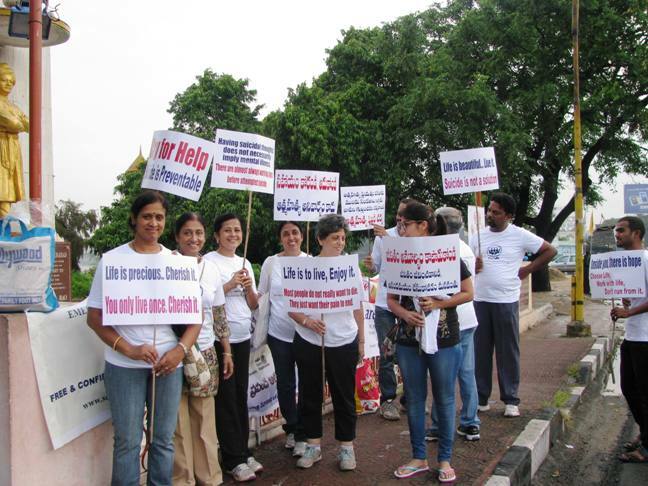 Seva volunteers distributed a booklet 'Directory of Mental Health Practitioners & Institutions in Hyderabad, Andhra Pradesh' to interested people that met with the volunteers during the walk. This compendium contains registered practitioners and hospitals, rehabilitation institutions and Recognised Training Establishments. The most important message is Suicide is Preventable. 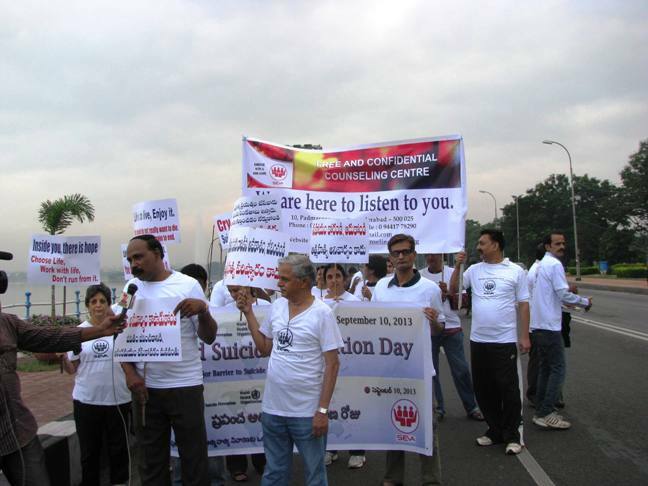 Stigma associated with Suicide is the major barrier in its prevention. 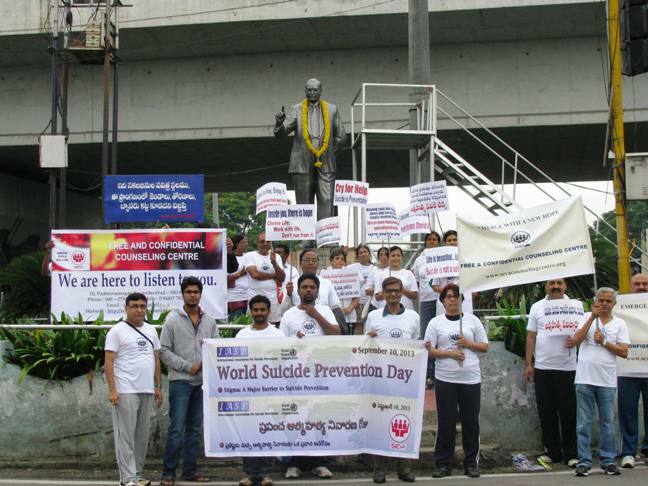 When you identify someone who might be suicidal offer hope and help and seek help from institutions like SEVA and professionals. 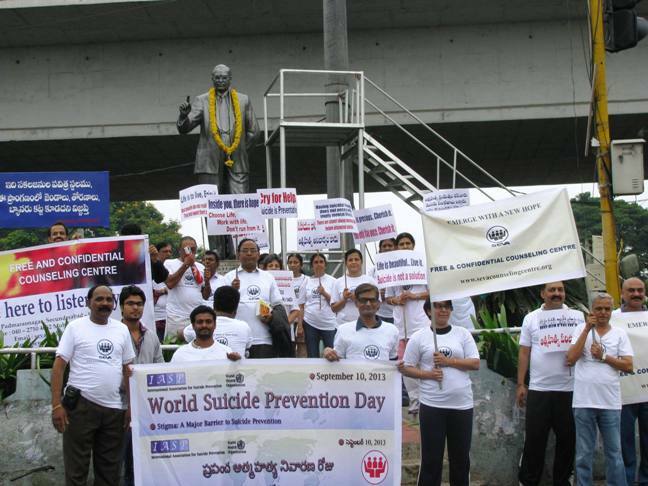 SEVA thanks the media for their help in spreading the message on this World Suicide Prevention Day.